Fresh off a historic run to the Croatian League championship, KK Zagreb Croatia Osiguranje will undertake an even greater challenge as it enters the Turkish Airlines Euroleague for the first time. 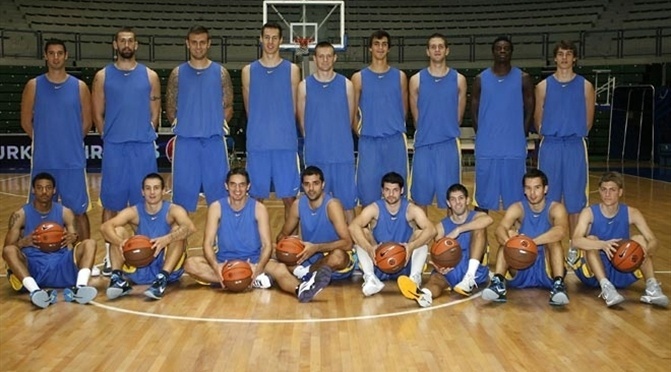 The club has a history of success in Croatia – it has won the Kresimir Cosic Cup in the three of the past four seasons and reached the playoff semifinals in each of the last 10 seasons; and boasts the junior European champs – Zagreb won the title at the Nike International Junior Tournament last season at the Euroleague Final Four in Barcelona. Now Zagreb aims to take its success to the continental level. The team traces its roots back to 1970, when it was named KK Siget, but it wasn’t until 1989 that it reached the highest level in the Yugoslavian League. Due to the spirit of hard work and diligence at the club, it adopted “Ants” as its nickname and the rationale could be seen from the start of the new Croatian League, as Zagreb became a central figure. The Ants made their European debut in the 1992-93 Korac Cup and got all the way to the quarterfinals before running into FC Barcelona. Zagreb became a regular in the Korac and Saporta Cups and reached the eighthfinals of the latter competition in 1998 with Gordan Zadravec and a young Josip Sesar filling the baskets. Zagreb also reached the final of the Croatian Cup for the first time that year. Marko Tomas and Krunoslav Simon were rising stars when Zagreb made its lone appearance in the ULEB Cup in the 2003-04 season, which opened with a memorable triple-overtime loss at Lukoil Academic. On the homefront, Zagreb was a regular challenger in all Croatian competitions as well as the Adriatic League. Decades of hard work and building a strong youth system have paid massive dividends in recent years as has a sponsorship agreement with a local insurance company that renamed the club Zagreb Croatia osiguranje. After reaching and losing the Kresimir Cosic Cup final in back-to-back seasons, Zagreb celebrated its first title of any kind in 2008 by beating Cibona for the Cup with Simon and a young Ante Tomic playing big roles. Cibona beat Zagreb in the Cup final the following season, but Luka Zoric and Damir Mulaomerovic helped Zagreb regain that title in 2010 after another memorable clash with Cibona. Last season however, the ants topped it all. A fifth-place finish in the Adriatic League was the team’s best yet and a big night from Mario Kasun lifted Zagreb to its third Kresimir Cosic Cup. Then Zoric and Simon led the way as Zagreb swept Cedevita to win the Croatian League title for the first time. The reward for that remarkable season is Zagreb’s first trip to the Euroleague, where the club will represent Croatia with pride as it looks to continue diligently working its way to the top.